While working as an engineer, Jonathan hired patent attorneys to protect his company’s intellectual property (IP). For over 20 years afterwards, his clients have hired him as their patent attorney and advisor. His clients include individuals, start-ups, educational institutions and businesses of all sizes, including several Fortune 500 corporations. Whatever the client’s size or sophistication, Jonathan finds satisfaction by securing the patents, trademarks, and agreements needed to protect and develop their most valuable IP assets, while aiming to deliver excellent value within budget. Jonathan focuses on patent prosecution including appeals when needed. He has written and obtained hundreds of patents in a variety of technical areas, including software, mechanical and electromechanical devices, methods and manufacturing processes, telecommunications and networking, microelectronics and nanotechnology, medical devices, chemical compositions and materials, oil and gas, entertainment and gaming methods, cryptography, computer graphics and image processing. His clients build and manage worldwide IP portfolios, with his help. Jonathan has been patenting software, and lots of it, since the dot com days. Software patents are in a tricky area, full of pitfalls and popular misconceptions. If you need to patent software, or need cost-effective advice about a legal issue involving software IP, Jonathan is a solid choice. 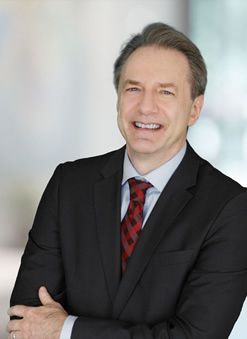 Besides patent prosecution, Jonathan’s practice includes counselling and providing opinions on patent validity, infringement, freedom-to-operate and related issues, trademark prosecution (nationally and worldwide), IP licensing and development ventures, and patent reexaminations (ex parte or inter partes). Jonathan supports litigators with technical issues and is as a 2011 Top Patent Prosecutor recognized by the Patent Research Review. He networks with other professionals, will travel, is friendly to start-ups and solo inventors, and provides initial consultations for free. Managed patent development and prosecution for a major entertainment production studio, with involvement for almost 20 years. Led a team of patent attorneys to write and file about 50 patent applications within four months, for a start-up California company. Developed a worldwide trademark, patent, and design patent portfolio for a boot-strapping California cosmetics products company. Supervised and advised regarding patent prosecution for Fortune 500 telecommunications company; represented company in prosecution of key technology patents. Managed and prosecuted a large patent portfolio for an invention development company, including the sale and licensing of assets in the company’s patent portfolio. Acted as in‐house general counsel for a mid‐sized California manufacturing company.